A selection of the cutest gift ideas for the newest member of the family. 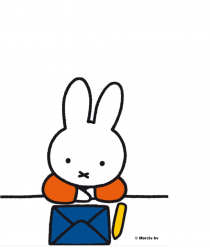 Miffy is making two very special appearances at John Lewis this half term! Miffy has collaborated with John Lewis to create this classic collection. Miffy has collaborated with Stitch & Story to create beginner-friendly knitting and crochet kits! Here are some of the best Miffy attractions in Japan. Miffy is originally from the Netherlands and there are still plenty of Miffy things to do there! Miffy has just launched a new arts and crafts range, perfect for rainy days!